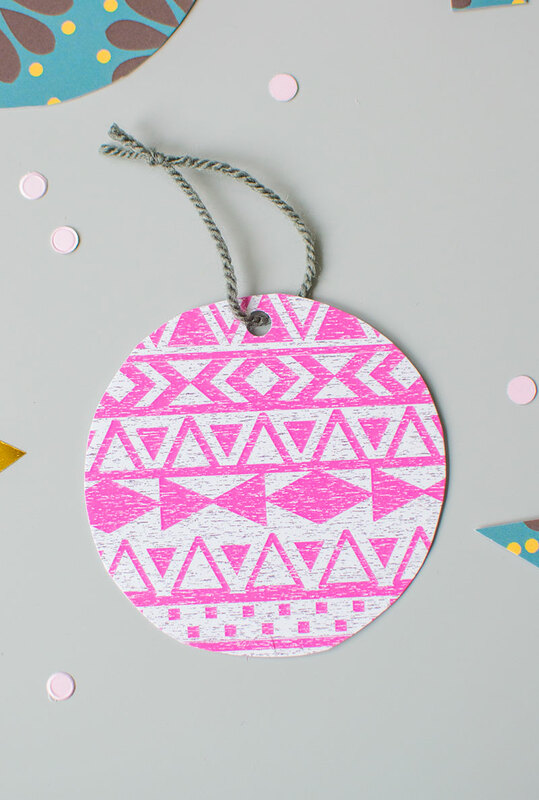 It’s the time of year when you will be needing lots of Christmas gift tags, I know some super organised people have even started wrapping presents already, and today I am going to show you a really quick and easy way of making them out of paper plates. The benefits to using paper plates is that you can find lots of different designs out there making them look a lot more unique than the pre-made ones. You can also make them any shape you like. This is also a great craft for kids, Cherry made some with me. These two plates are from the Zazzle website, I liked the fact they weren’t decorated with your typical festive designs. I went for the floral turquoise paper plates and pink Aztec elephant plates. There are over 4000 designs to choose from though so there’s no shortage of choice. 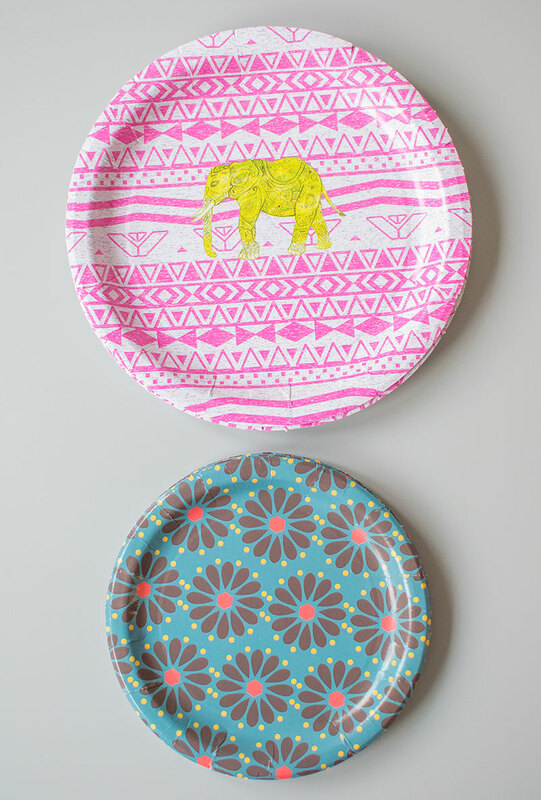 Another option would be to get your kids to paint and decorate plain paper plates and use those. So the first step is to draw a shape on the back of the paper plate then cut it out. 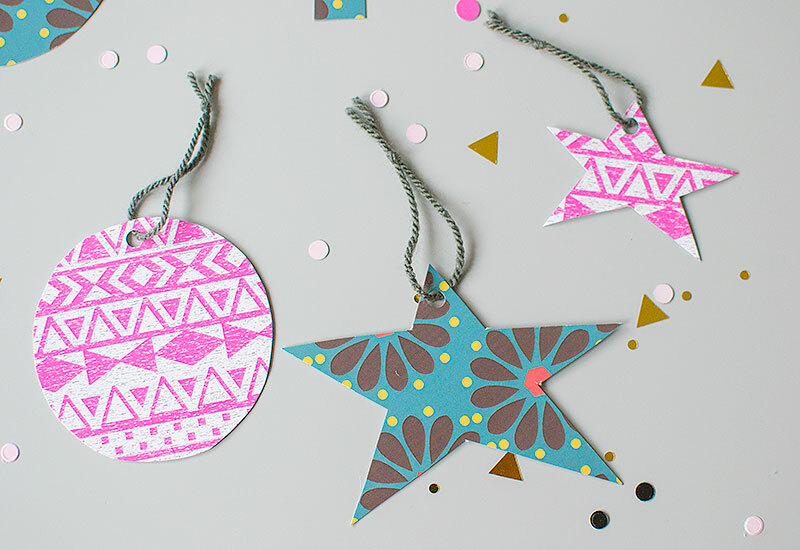 We made Christmas tree, bauble and star shapes but you could be as inventive as you like. Use the hole punch to make a hole at the top. Then tie some yarn or string through the hole. And that’s it, I told you it was easy! Initially these were going to be Christmas decorations and you could definitely use them in that way, I just changed my mind when I saw the back was white as it made them perfect for writing on. 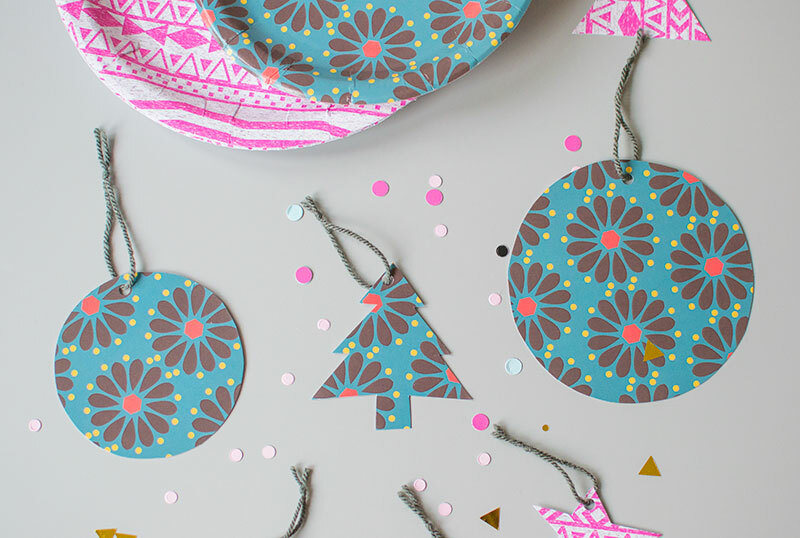 If you wanted to make decorations then I would cut two shapes out then stick them together back to back so that if they spin around on the Christmas tree then the design will be visible on both sides.